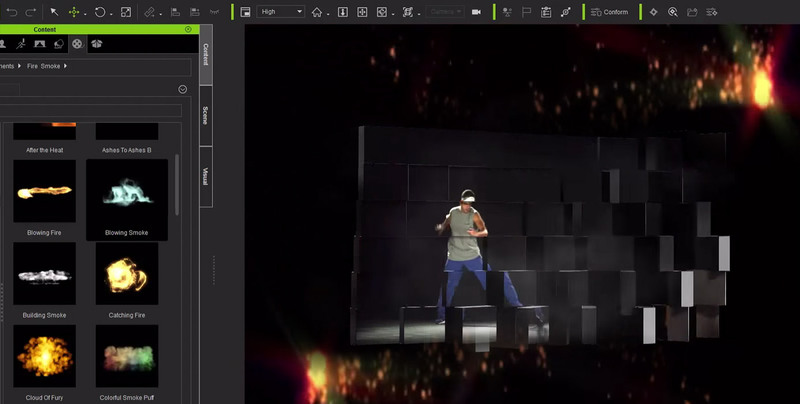 Combine video and 3D scenes with real-time playback and effects to incorporate videos as backgrounds or textures, or instantly turn a video into a plane or billboard by dragging and dropping it directly into the viewport. Export animated scenes and projects as videos for compositing in external video editor and effects engines. Save transparent, alpha video, or image sequences.